I love calling on my friends for book recommendations and very rarely will any of their choices fall flat. One Magic Square is one of them and has become my go to for garden inspiration. The friend who told me about this book has put together an impressive suburban garden that feeds her husband and baby daughter each season. Seeing the success of her backyard I knew this book would live up to my friends praises. 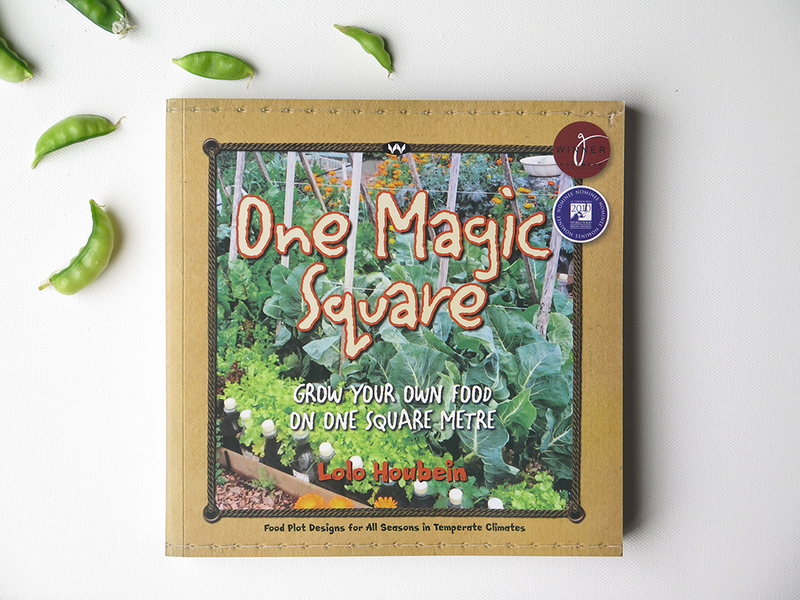 The book focuses on growing a variety of plants in one (magic) square meter – ideally great for those with a small plot of land to toil. Lolo Houbein provides ways to maintain an organic garden utilising her thirty years of expertise with her easy to understand eco tips. Following her book I have found getting a garden established easy. The standout component of the book is the twenty plus suggested plots you can grow. Plot ideas include a soup plot, summer salad plot, stir-fry plot, pasta and anti-oxidant-rich vegetables to name a few. These ideas are illustrated so newbie gardeners like myself have a visual guide to layout the plots. This is super handy as I have learnt that some vegetables don't do too well next to other vegetables. Want to keep bugs away using natural methods? the book covers this also. And if you need recipe inspiration for your bountiful harvest, the book has that too. If you are like Lolo and want to take back control of the food you eat then this book will help and inspire the green thumb in you. This last weekend I spent time in our garden. There was the usual chores of turning the compost and removing weeds from garden beds. Some winter plants have come to the end of their life cycle signalling spring is not far away. Time was spent thinking about what I will plant for spring and how I can become an efficient gardner. One way I can become a cleaver gardner is by choosing plants that I use often and remove those that I won't use over the next two seasons. One such plant is rosemary. I LOVE rosemary. It is my best friend in winter. But I doubt it will get used for much except tea and the occasional cocktail over summer. I decided to remove it and try drying my own herbs for the first time. This way I can use it for tea and other summer refreshments - and the plant does not go to waste. 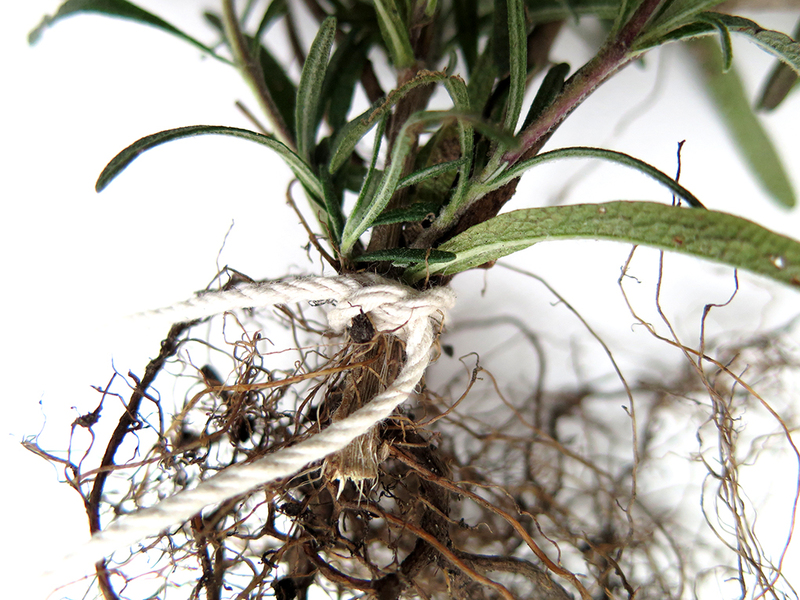 I simply pulled the plant from the earth, shook the dirt off and tied string around the stem. 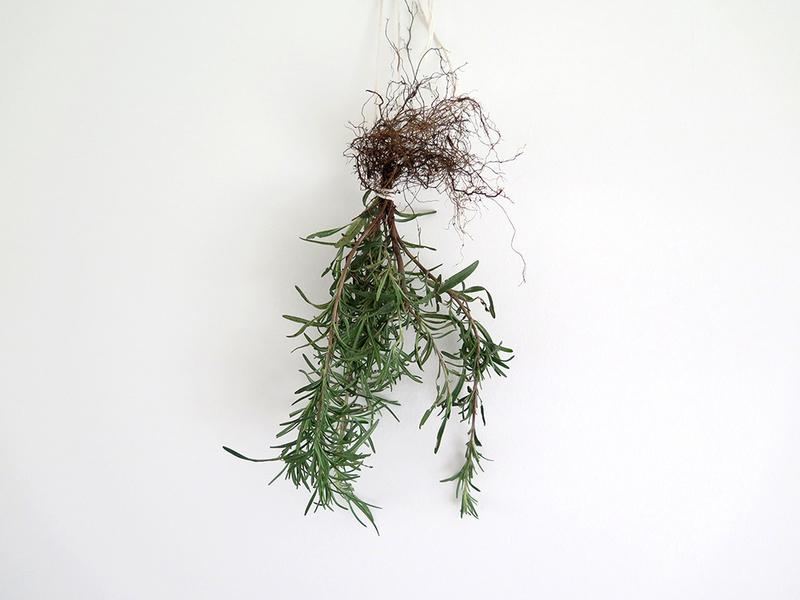 Right now the rosemary is hanging in our hallway, adding a sweet smell to the air as it dries. In a month the rosemary will be dry and I will crush it up, housing the contents in an old repurposed glass bottle. 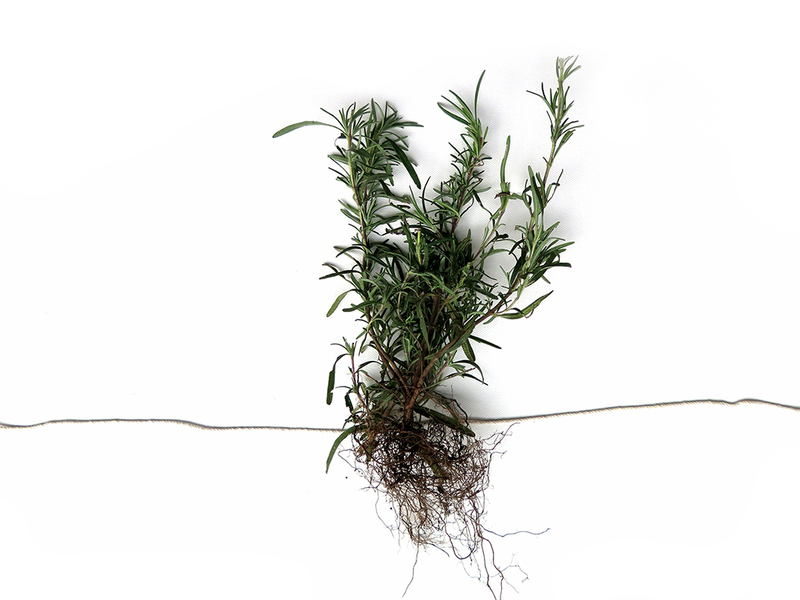 I have a fun project coming up on the blog for plastic free teabags (uh-huh there is plastic in your teabags) and I plan to include a tea recipe from the rosemary I am drying. There is something calming about taking herbs I have watched grow and drying them. It is a satisfaction that I never got from buying herbs prepackaged in plastic bags or with plastic lids. This new process is nourishing, kind and familiar. Have you dried herbs? What is your favourite herb to dry? My quest to find the ultimate easy homemade Plastic Free Zero Waste Mascara has been just that: a quest. There are fantastic store bought mascaras that are void of cruel practices and harmful chemicals while providing oomph to lashes. Unfortunately mascara packaging that can be recycled is non-existent in Australia. And even if I did have the option to use recyclable mascara the constant use of resources to make each packaged container and all the mascara wands did not sit right with me especially when I can reuse the same wand and container. 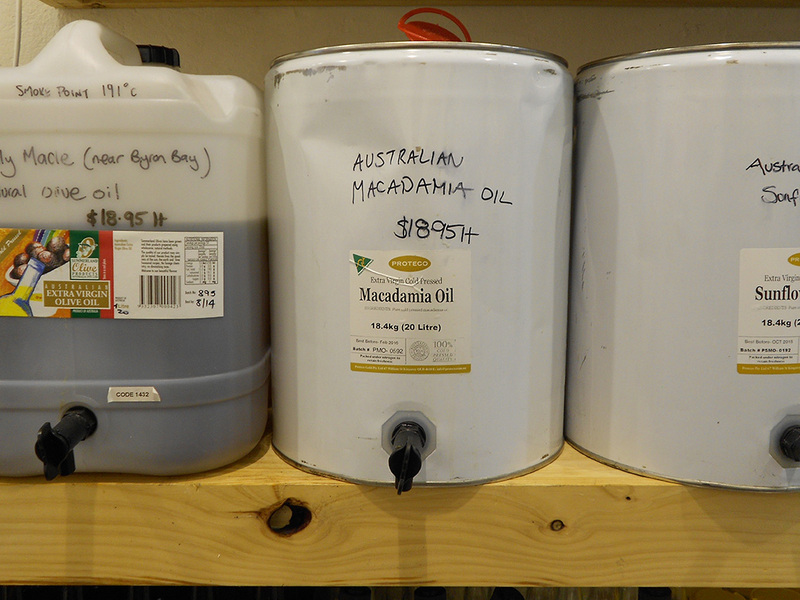 I have toiled, mixed, melted and swirled a variety of home-made mascara recipes. I had found an OK recipe but was not 100% happy with it. I wanted something easy – something I was used too. With the various tutorials out there for home-made mascara I have discovered that sometimes a recipe requires tweaking to allow the end result to suit the individual. So I persevered and finally, FINALLY made an easy home-made mascara that is perfect for my lashes and maybe even yours too. Method: Place your finely grated soap into a heatproof dish and warm on the stove (or microwave). I put my heatproof dish into a pot on the stove. As the soap warms up add the water then add the activated charcoal and oil. Mix together with a wooden skewer and pour into your designated container. Let set. Wash your heatproof dish and skewer for next time. 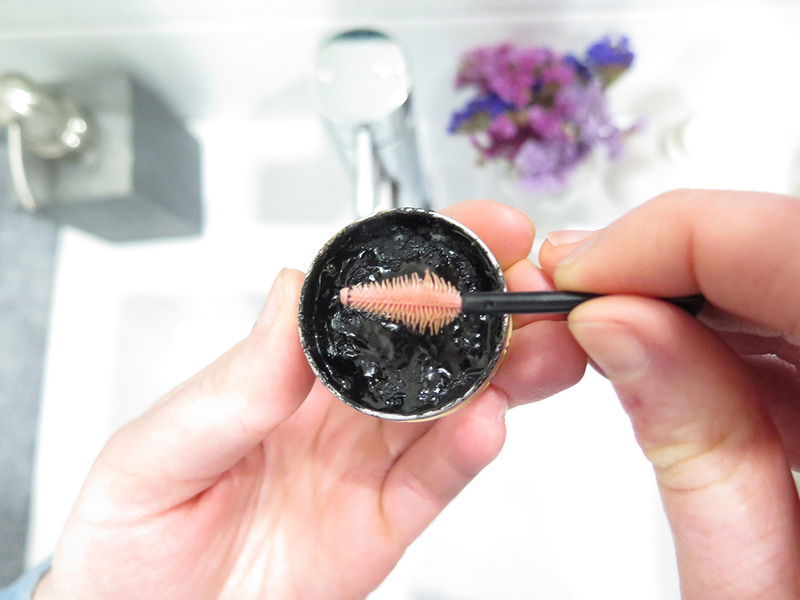 To use: Wet your mascara wand with a drop of water from the tap or use purified water. 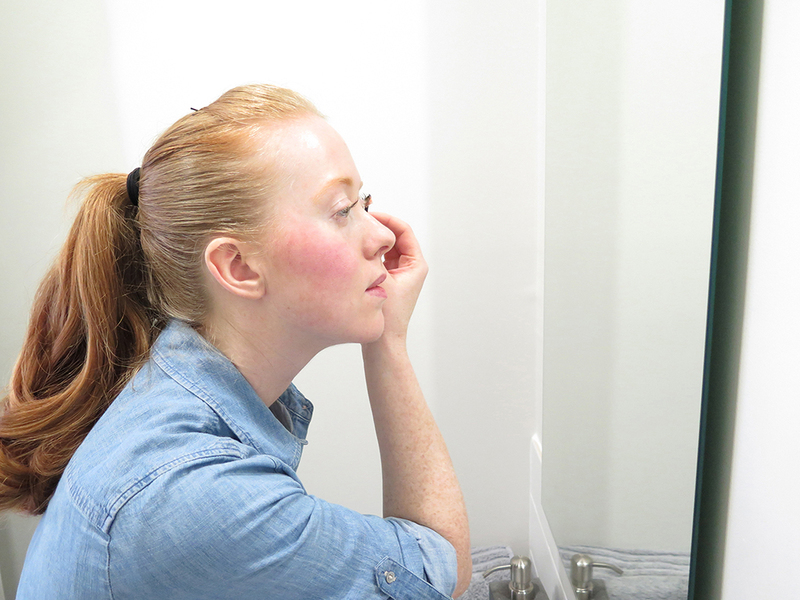 Rub across your mascara and apply to your lashes as you would normal mascara. The mascara dries quickly and there is no flaking. For more volume I let one layer dry then add another layer of mascara. No longer miss store bought mascara. Hoorah! To remove use a wet wash cloth. I have not had sore eyes but I imagine that if I got any of the mixture into my eyes it would sting considering the soap component of the recipe. I make a fresh batch every two weeks using this soap. UPDATE 2.12.2014 No sore eyes yet. No inflammation either. Comes off easy with water. UPDATE 12.10.2015 I have had person come back to me saying that when they cried the mixture stung her eyes. Save it for days when there is the potential for no crying. In the meantime, I am going to see if there is an alternate to the soap component. 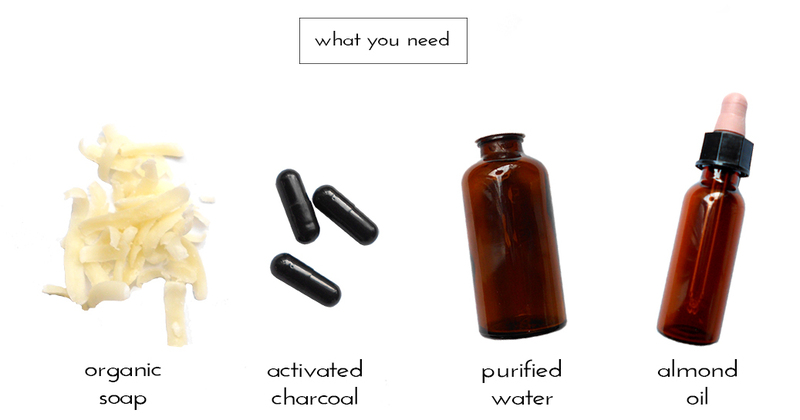 Currently I am using activated charcoal capsules. They are messy and I suggest putting down an old tea towel when you open them to get out the charcoal. They come in a recyclable container but I would love to try Ariana's tutorial on making your own activated charcoal. No packaging + learning a new skill = win. UPDATE 2.12.2014 I have since made my own activated charcoal using Ariana's tutorial. Mascara is still looking awesome! None of the ingredients used have an EWG rating beyond 0. Pretty awesome right? 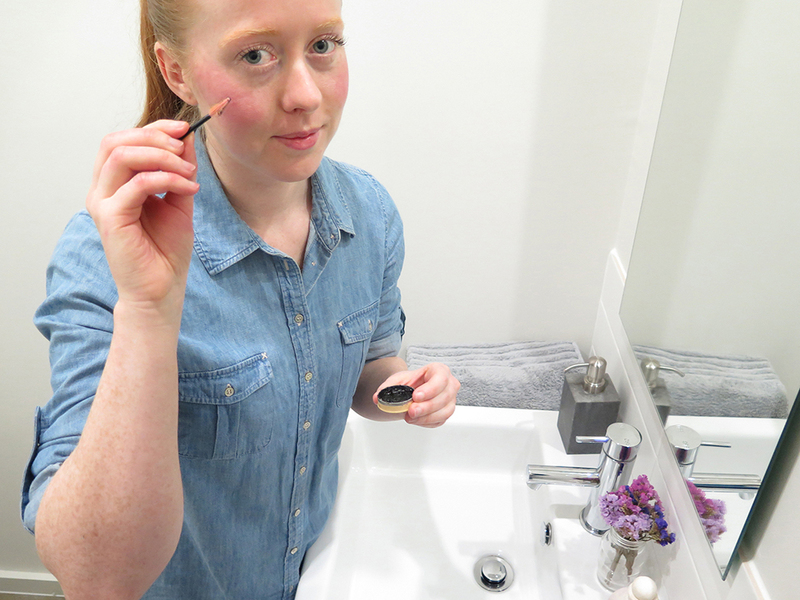 I am very VERY happy with this easy home-made mascara that is zero waste and plastic free. So happy, I dance about it. Have your tried to make your own mascara? How did it turn out? Let me know in the comments below. I am often asked what a bulk food store is. It is the kind of store that most of us have never ventured into or have walked past without a thought. And why would you when there is the ease and convenience of a supermarket that has everything processed, packaged and ready to go under one roof! If you are wanting to start stripping plastic from your life, then shopping at a bulk food store is going to be your best friend. After a couple of months the over packaged supermarket that you used to frequent will be a distant memory. 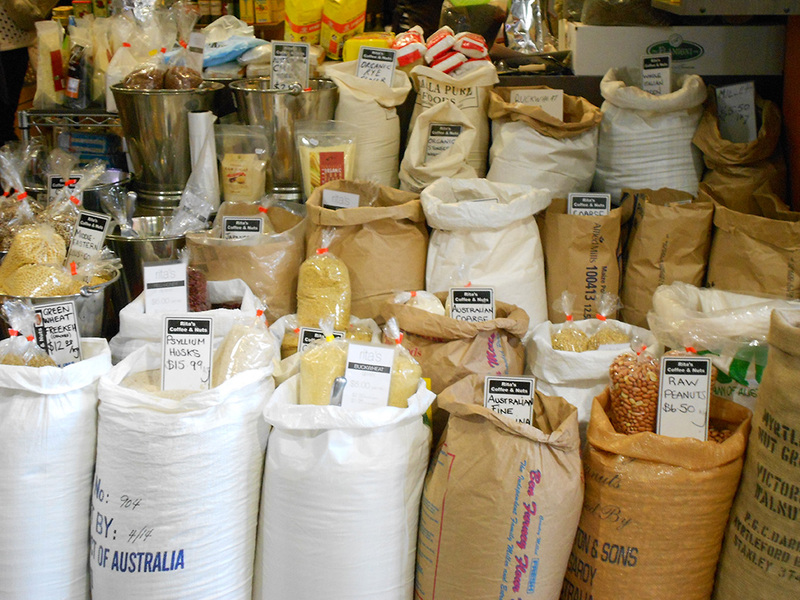 Some people get confused and think that shopping in bulk translates to taking kilos of flour or beans home. I don't and most bulk food shoppers don't. Bulk food shopping generally means that the store sells their produce in bulk like drums of dish-washing powder, coconut oil or even peanut butter rather than individual wrapped portions. 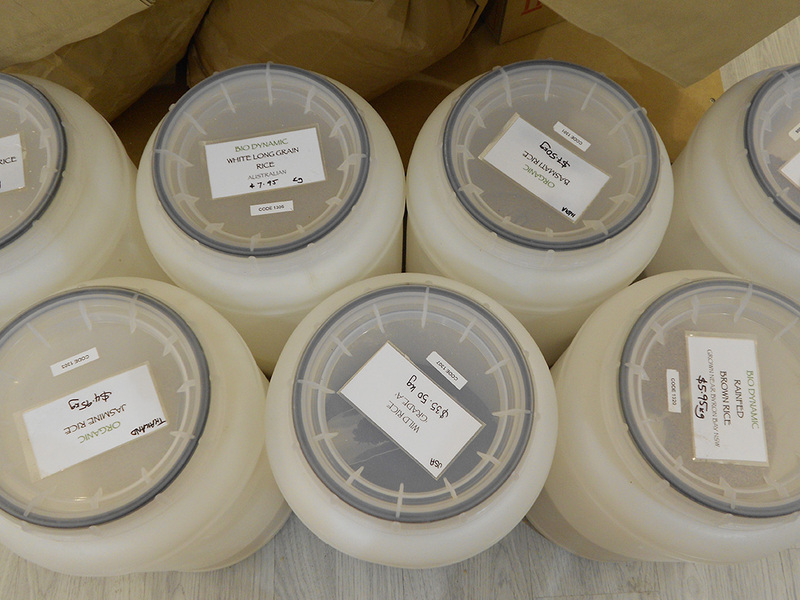 Supplier delivers a bag, container or drum full of grains, oil, honey etc to a shop. The product is put onto the store floor in its original bag, container or drum OR transferred to a dispenser for the consumer. The supplier picks up the empty containers for reuse or recycling, depending on the product. The shopper (you and me!) comes along with containers or bags. Containers and bags are weighed first, by either yourself or by the store keeper. You can write down the weight of the container and bag onto a piece of paper or into your phone, rather than use stickers. Fill your container or bags with what you need, write down the code or product name. When you are ready to pay, the store keeper will deduct the weight of your container or bag from the total weight. And that is it. That is bulk food shopping. But how do you get started? Where do you get all your bottles from? And how did you find a bulk store? Easy. Start by collecting glass bottles or check to see if your local bulk food store has some you can buy on your first visit. Visit the bulk app to locate your nearest bulk store. You can also ask friends and family for bottles. 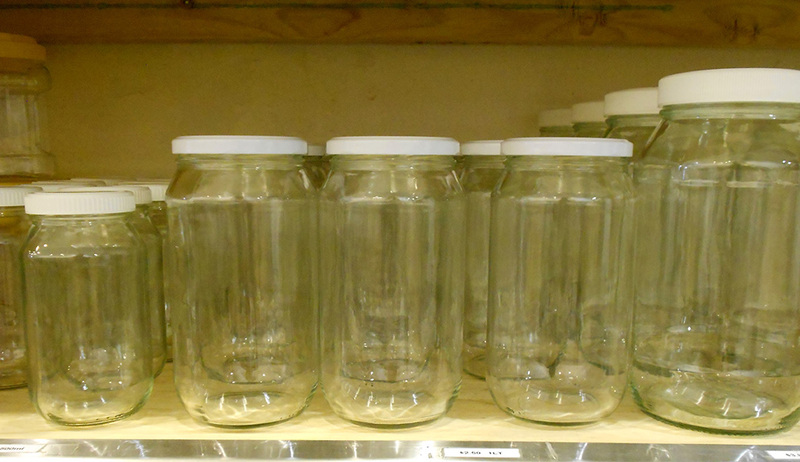 Thrift stores are also great place to find old glass bottles and sharing websites too. If there is not a bulk store within an easy commute to your home grab a group of friends and make a day out of it. 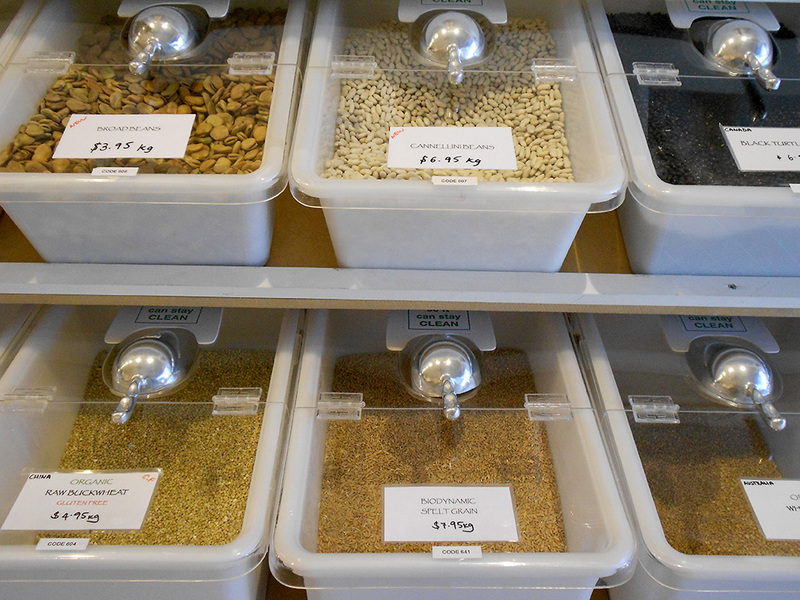 Share you favorite bulk store below with a link – I would love to see it. When I tell people that I buy all my clothes second hand I usually get challenged with the question “But what about your underwear?” I will freely admit that I don't buy thrift store underwear or stockings (nothing wrong with those that do!). When I admit that I do buy NEW items I add that it is ethical, sustainable and Australian made brands like Nico the first Australian underwear brand to be accredited by Ethical Clothing Australia that sits snuggly in my lingerie draw. There are labels on just about everything outlining if it's organic, not tested on animals and fair trade providing transparency into the companies practice. 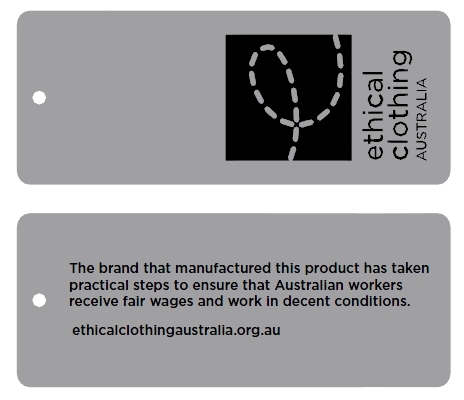 Ethical Clothing Australia is one of those bodies that lets us, the consumer, know that a product is being made ethically ensuring all workers are being paid fairly and working in good conditions and is a sustainable practice. If you see the ECA logo then it is safe to say the company has ticked the boxes to earn them that badge. I was fortunate enough to interview Elisabeth Harvey the designer, brains and beauty behind Australian underwear brand Nico a Ethical Clothing Australia accredited brand. Where and how do you source your fabric? Why do you source it from here? Every collection is different and we source from a lot of different places and suppliers. The things we are always looking for though are the eco credentials of the fibre (eg. Organic cotton over regular cotton), the conditions staff are working under to produce it and of course that it is lovely and soft and beautiful to wear! Why did you have a desire to make your garments in Australia? 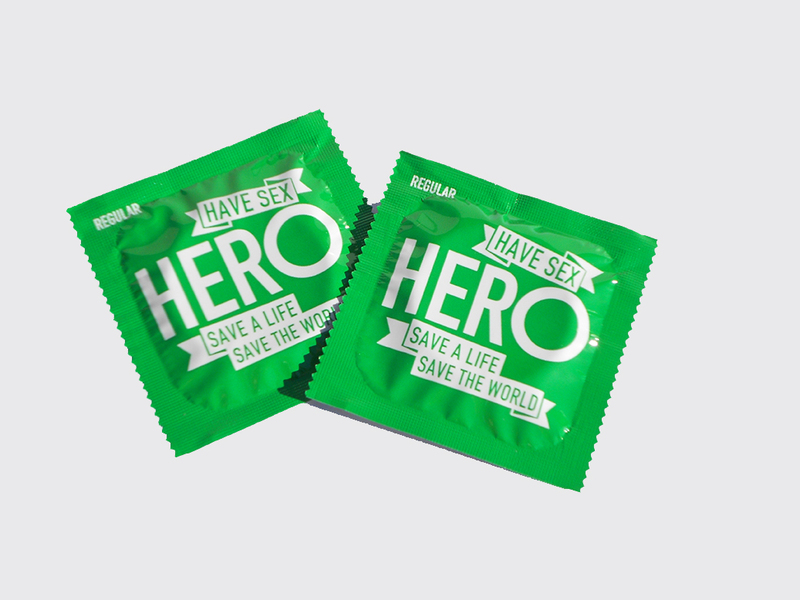 What do you think are the benefits? I knew that we certainly wanted to ensure an ethical supply chain and ensure that no workers would be exploited in the creation of our garments. This can be achieved offshore as well as in Australia but the idea of keeping things local did appeal to me. NICO is manufactured in our hometown of Brisbane - just 15 mins away from our office, so I can be really involved in the process and ensure that everything runs smoothly. What credentials did you need to have to be Australia's first underwear brand accredited by Ethical Clothing Australia? The way that Ethical Clothing Australia works is to provide independent accreditation of our supply chain to ensure that everyone involved is being paid fairly and working in good conditions. We report regularly to ECA with details of what suppliers we are working with and they in turn visit those suppliers to ensure fair workplace laws are being upheld. What are the benefits of being apart of Ethical Clothing Australia? What kind of support do they offer? Fashion supply chains can be complicated things and so to have an independent body who are able to investigate thoroughly and provide a guarantee to me and in turn to my customers that our garments are being made in ethical conditions is really invaluable. They are also so great at connecting us with consumers out there who are looking to make more ethical clothing choices. What are your plans for the future of Nico Underwear? Ethical Clothing Australia is without a doubt necessary for a sustainable and ethical clothing industry to flourish here in Australia. And as a sustainability advocate I support their hard work and vision for the future. Not only does it keep operations crystal clear for the consumer, it promotes and supports local businesses like Nico so we can enjoy kind and beautiful lingerie made right here in Australia. I think that is pretty awesome. 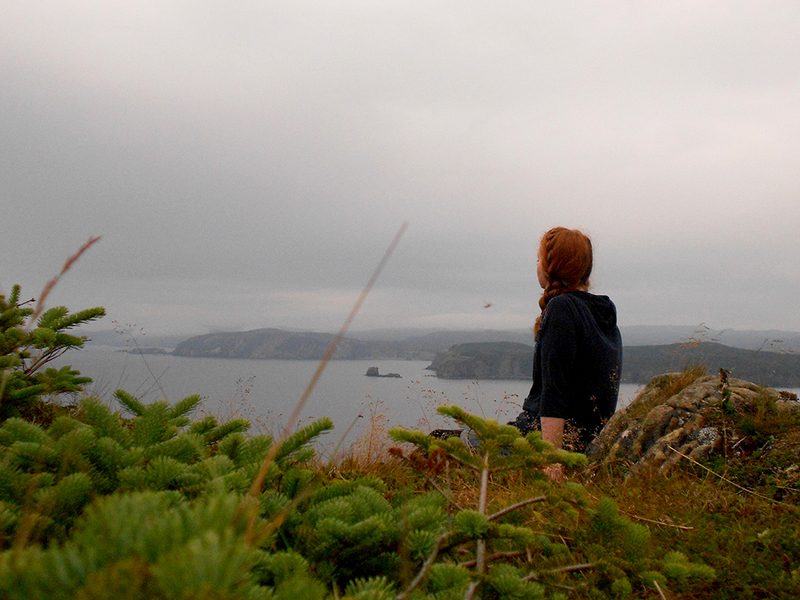 The Why I Write bloghop is a set of questions that pokes writers to share the intention of why they choose to write. This exercise was passed onto me by Katie of Rosehips and Rubarb. Katie's passion for food is evident with her appreciation of its role as a way to tell a story. Local and seasonal food is to be respected on her blog and I look forward to seeing her grow as a writer. Right now my brain is consumed with taking my passion for plastic free, zero waste, sustainable living and finding ways to funnel it into helpful and accessible resources. I have two ideas where I want to combine my love for writing with illustration that will result in an engaging children's book. There are some other fun ideas that I plan to create this year - one being a calendar. But that's not really writing... I do sometimes think of writing a fun and accessible how to guide about making your first plastic free year easy. I have been encouraged to try writing something for Tiny Buddha or Elephant Journal - maybe one day an article for a magazine. My writing differs purely based on the approach that I take. I have only just realised the style and approach i want to take my writing in. My aim going forward is to weave more of my everyday life into my story and show readers that I am your regular every day girl, working in a corporate gig and just happen to totally rock a plastic free life. My aim is to not be labeled under hippie or environmentalist. I don't want to be boxed with a name limiting myself and the readers that grace this page. Just because i live with sustainability in mind does not mean that is all there is or who I have to be. I write what I do simply to show others that living without plastic and living waste free is easy. I want to set the example and inspire; turn the light switch on. Just because I have given up plastic does not mean I have ditched the corporate world for bare feet in the grass. While I enjoy that I still have my regular job. My writing process is not structured as it depends on what I choose to write each week. Sometimes it calls for research or pulling on my own experiences. I do know that I write a lot of ideas and notes on scraps of paper or into my phone for later development. I write mostly in the evening after work or over the weekend. My writing is published each Tuesday and Thursday on my blog. I have found sticking to a routine helps with the writing process. The process is also wholly supported by my family, friends and especially my boyfriend known affectionately on this blog as the Builder. He encourages me to write and believes I have a message that needs to be shared. It helps to have a support team but at the end of the day I am my biggest support team. Having the passion to write on this subject keeps me going. Katie has inspired me to rethink my wardrobe with her 365 day challenge where she will not buy anything choosing instead to shop her wardrobe. I have to say that since I began following Katie's daily Instagram outfit snaps I have limited my trips to the thrift stores for clothes. Living a simple life is ideally about living a meaningful life that is kind to yourself and others. 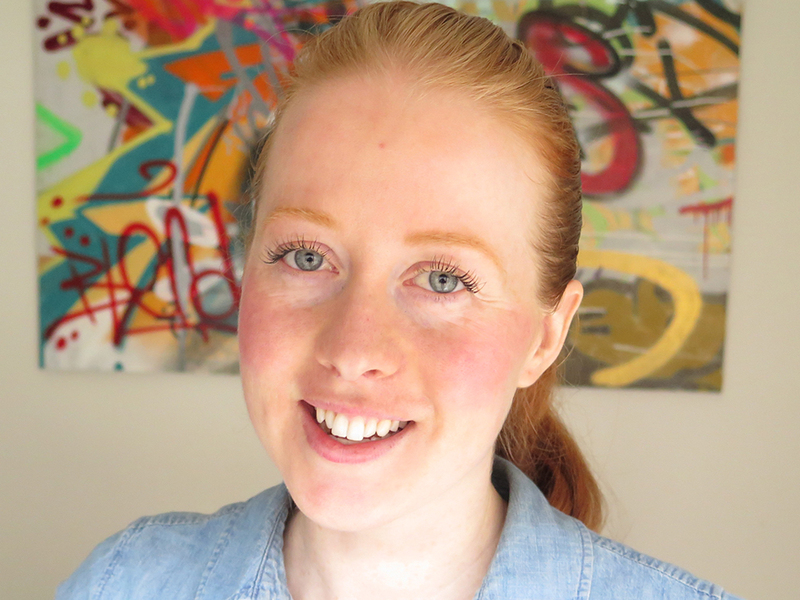 Caz explores the importance of cultivating a nurturing space – simple and loving. She has a love for upcycling and reusing objects turning them into new treasures. I have been inspired to try her projects in my home. Gavin knows green living – in fact he has made it his goal to educate others on how to make better, low impact choices through his blog. Gavin recently completed the Climate Reality Project with Al Gore. He has many how-to's on his page like cheese making so pop over to Gavin's page and say hello. Now the big question - Why do you write? And how do you do it?